Sumya Anani is not just an amazing boxer. She’s an inspiration to myself as well as others I’m sure. Ofcourse what draws many to her is her ability to mix it up in the boxing ring and entertain us with her skill. After having read her last two articles posted on WBAN I have come to the realization of two other reasons why I admire Sumya. 1) she is a gifted writer who speaks and writes with an eloquence that is equal to her punching power. And 2) she is unabashed, uninhibited and willing to give credit where credit is due. Following her list of Women Fighters that she admires I read her request that other fighters and fans extend their respect and thanks as she had just done. Well as you can probably tell, that little bit hit the mark and so here follows one boxing fans list of the fighters that I admire. 1)Jennifer Alcorn~ Mia St. John was correct when she proclaimed that Jennifer was a perfect physical specimen. For once I can agree with Mia as Jennifer is a poster girl for the desired result of anyone who works hard to maintain their physical lifestyle. Furthermore she is a hard puncher and is willing to be the aggressor no matter what the toll on her body. 2)Sumya Anani~ It is very disheartening that more people do not know of this lady. She is a truly genuine and kind person. I have had the honour and privilege of corresponding with Sumya for sometime now and can honestly say that her words are inspiring. The fact that she expressed such caring words to me upon her first reply was astounding. So astounding in fact that it was almost impossible to believe that this woman, this loving woman, had the strength and ferocity to hand Christy Martin her first loss in 1998 since 1989. Sumya has inspired me in so many ways from my own study of yoga to my daily efforts of trying to be so much more caring than usual. She is truly an inspiration to me and I cannot wait to see where she goes in life. 4)Sunshine Fettkether~ It’s well known that Women’s boxing doesn’t garner great amounts of money for the athletes who compete. Yet so many women continue to box because of their love of the sport. Not only does Sunshine box, and box well, but she also continues to compete as a kickboxer which is also an underappreciated sport. My admiration for Sunshine stems from her willingness to compete in two very demanding sports and for her ability to shine in both fields rather than buckle under the pressure and stress. 5)Sue Fox~ I’ve never seen Sue fight. Not once. However, I can tell that she is and was a strong and determined individual. Her maintenance of WBAN, her support of the sport and every fighter involved, her tireless devotion to bringing the news to us needy fans make her an icon in my eyes. Without Sue I would not be able to keep up on the many fighters who are making marks in the sport of Women’s Boxing. Without Sue I would not have an outlet to express my views and opinions to the many other fans who flock to her website. I’m sure I speak for many when I say that my gratitude to Sue is endless. Sue has opened the doors to other fighters and has kept that door firmly open for quite sometime now. I can only hope that she continues to strive forward. 6)Regina Halmich~ I grow tired of the countless number of people that praise Christy Martin for her fight record while totally overlooking Regina. Regina has been in the game for quite sometime as well and her record is nearly as large as that of the Coal Miners Daughter. Regina earns points from simply for the fact that she stood in the ring amongst the likes of Kim Messer and Yvonne Trevino. Now granted Kim was making her pro debut but one cannot discount Regina for standing against the fireball that Kim is. I have to admire Regina for her fighting not only top competition in the women’s game but for also stepping up to shut up one loud mouth man who shall remain nameless. 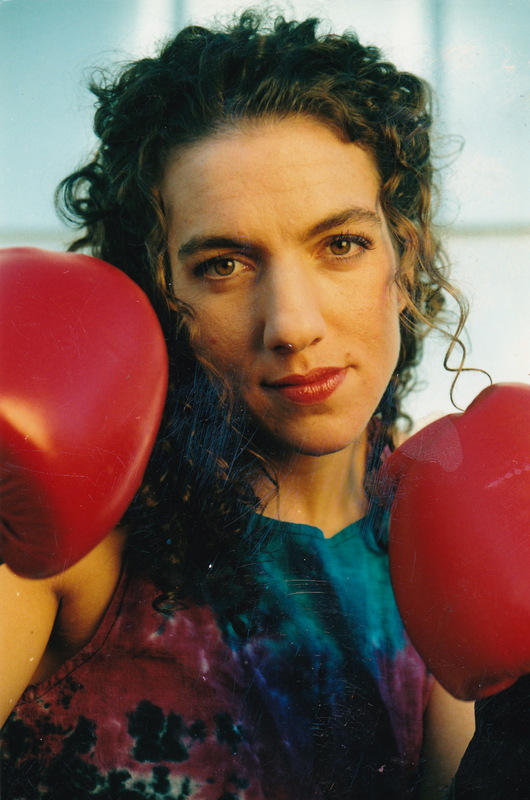 7)Christy Martin~ Say what you will about the Coal Miners Daughter, there’s no denying that she helped progress the sport of women’s boxing a great deal. Yes, she claimed to be in the sport only for herself and not to make a feminist statement of any kind. However, her very being a woman helped to spotlight the sport as a whole. No woman has had more television and media coverage and, yes, she does possess the greatest amount of fights. The fact that she has been strong and talented has helped show a legion of boxing fans that women can fight just as well as the men. 8)Jessica Rakoczy~ Jessica is a true talent in my eyes. It would be very easy and close minded simply to shrug her off as another no-talent pretty face. However, one must simply observe this fellow Canadian in the ring. She moves so fluidly and possesses a great amount of power in her small frame. Watching Jessica fight is quite a pleasure as she has a throwback style that screams of flash and technique. And anyone who credits hockey tough guy Marty McSorley as a fan has to be tough. 9)Lucia Rijker~ I’ve had the pleasure of knowing about Lucia for quite sometime from her days as a champion kickboxer to her present incarnation as a formidable boxer. Like Sumya Anani, Lucia possesses a great amount of spiritual strength in addition to her physical power. A Buddhist practitioner, Lucia the woman is a far cry from the steely-faced, fierce warrior we see in the ring. She is a laid back, personable and knowledgeable woman who knows how important it is for real talent to be showcased if Women’s boxing is ever to become mainstream fare. 10)Ann Wolfe~ I think Valerie Mahfood summed Ann Wolfe up most accurately when she said that Ann Wolfe’s punches could take out a wild bear. Yes anyone who watches the Texan Ann in the ring will see a barrage of thundering punches thrown. I admire and am amazed by Ann for all that she has gone through. Having been homeless for a year, having lost so much, it is a testament to the strength of her spirit that she is still breathing today. The fact that Ann is a skilled boxer who rose from that ashes if you will and is still rising makes her a champ in my book, regardless of whether or not she holds any titles. There you have it. My top ten list of women fighters whom I hope now know how much I respect them and how they have impacted me. I could make a list much longer than this but I feel that there is so much potential for the sport that I can wait until a future date to add to what is already there.